The Gavita Pro 1000 US Electronic Ballast paired with the Philips GreenPower Plus 1000 Watt EL Double-Ended lamp has the highest PAR light output available for a 1000 watt ballast. Specifically developed by Gavita and Philips for professional greenhouse growers. Sealed power adjustment dial to allow you to adjust wattage to 600 / 660 / 750 / 825 / 1000 / 1150 watt settings. Completely sealed enclosure makes this unit safe to use in humid areas. Gore-Tex ventilation plug allows the pressure inside the sealed unit to adjust temperatures without drawing in moisture. Concept and system design by Gavita Holland and electronics by Royal Philips of the Netherlands. 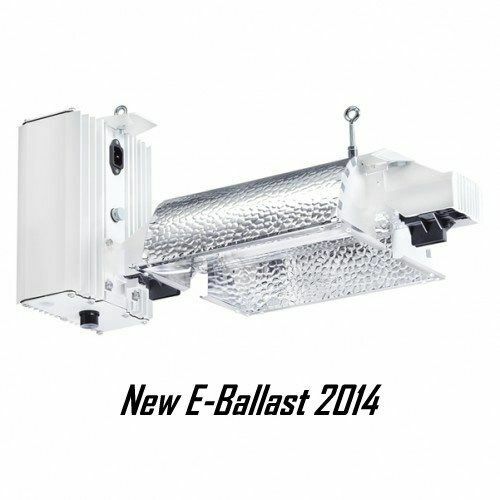 The Pro the 600 US Electronic Ballast is made with professional grade UV resistant rubber wiring. This is the highest quality 1000 watt ballast with the most modern technology available on the horticultural market. 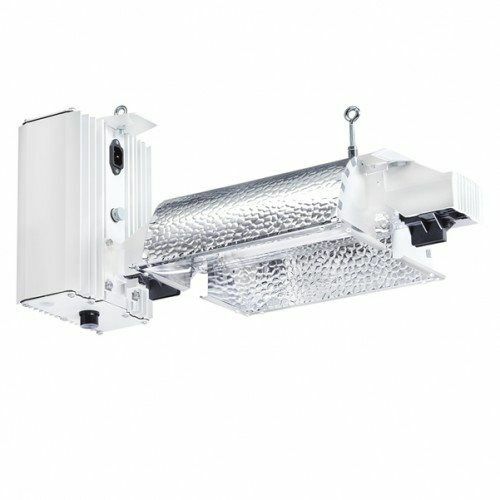 Highest PAR light output available for a 1000 watt fixture. HortiStar HR 96 1000 DE reflector. Up to 8% more grow light than others. Concept and system design by Gavita Holland. Electronics by Royal Philips of the Netherlands. 10 ft power cable with 240V plug. The Gavita Pro 600 US Electronic Ballast paired with the Philips Master Greenpower EL Single Ended Bulb emits the highest PAR light output available for a 600 watt ballast. Specifically developed by Gavita and Philips for professional greenhouse growers. The Gavita Pro 600 US Electronic Ballast paired with the Philips Master Greenpower EL Single Ended Bulb has the highest PAR light output available for a 600 watt ballast. Specifically developed by Gavita and Philips for professional greenhouse growers. Completely sealed enclosure makes this unit safe to use in humid areas. Gore-Tex ventilation plug allows the pressure inside the sealed unit to adjust temperatures without drawing in moisture. 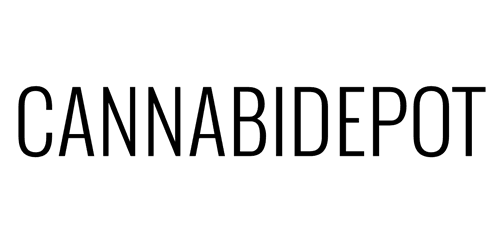 Built in Holland with the highest quality standards. Concept and system design by Gavita Holland and electronics by Royal Philips of the Netherlands. The Pro 600 US Electronic Ballast is made with professional grade UV resistant rubber wiring. This is the highest quality ballast with the most modern technology available on the horticultural market. 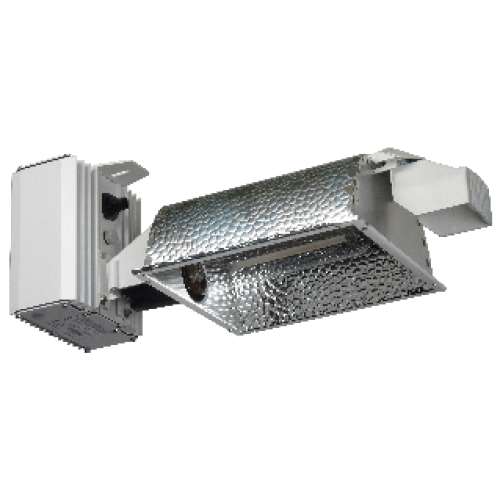 Highest PAR light output available for a 600 watt fixture. HortiStar HR 96 600 Reflector. The new Gavita Pro 1000e DE US in the Pro line e-series of electronic ballasts utilizes the Gavita Pro Plus 1000W 400V DE EL lamp, 2100 μmol s-1 lamp. This special bulb provides you with the absolute highest PAR light output available for a 1000 Watt horticultural lamp. Comes with a 8 foot 240v lamp cord. The 120v lamp cord is sold separately. 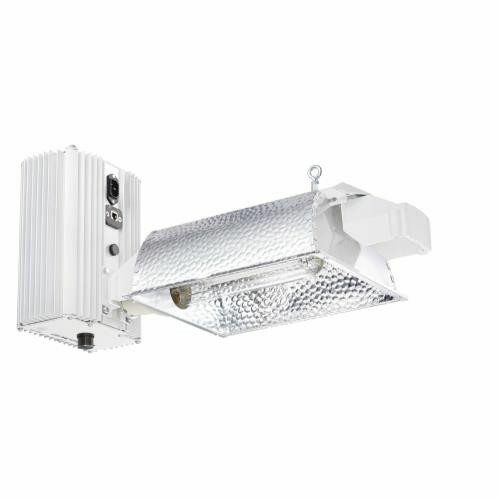 The Gavita Pro 6/750e DE FLEX is part of the new Gavita Pro line e-series of the next generation of professional grow light solutions. This double ended fixture is capable of being remote controlled by the Gavita Master Controller. The new Gavita Pro 6/750e DE FLEX US in the Pro line e-series utilizes a newly developed Gavita double ended Pro 750W 400V EL lamp. The control range of this lamp is 400-825W, bridging the gap between 600W and 1000W lamps. The new Gavita e-series fixtures are suitable for remote control with the Gavita Master Controllers using Apple iOS. You can adjust the new Pro 750W 400V EL lamp with the output dial on the fixture or with the Master Controller for full linear control and sunlight features. Has the “Soft Dim” feature so that when you adjust your ballast output selection switch, the Soft Dim slowly adjusts the power on to the lamps over 60 seconds to protect the life of your bulbs. The soft-dim feature is so gradual that you won't even see the dimming as it happens. 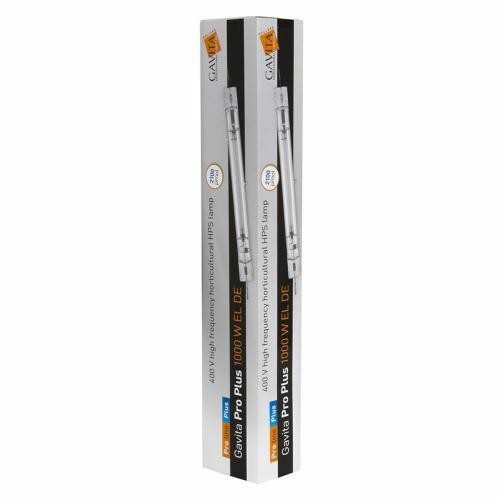 Utilizes the new Gavita double ended Pro 750W 400V EL lamp.